I currently have the pleasure of working on the Orthopaedic ward at a Hospital located in Queensland. The Orthopaedic ward is the Bones Ward which is not to be confused with Orthodontics which is all about Teeth, completely different. I know, sounds the same, but trust me you don’t want to go in for a fractured ankle and come out with a root canal so it might be wise to learn this kind of stuff. 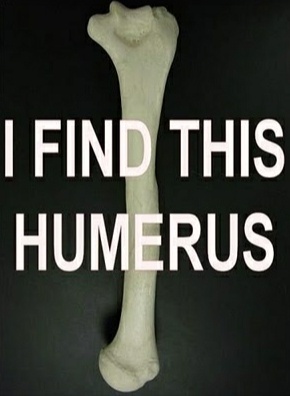 Did you know the infamous funny bone isn’t even a bone? Of course they will tell you that they affectionately named the Ulnar Nerve – The Funny Bone because it’s located near the humerus which sounds ‘humorous’…but reality is…The ‘Funny Bone’ is just a brilliant excuse to laugh (guilt free) at someone else’s pain. I spend most of my time at work interacting with the nurses, they do a lot of ‘strange’ things like continuously ask each other if they are OK. If I were a nurse and they kept asking me if I was OK I would have become a hypochondriac within the first week. Nurses are a funny lot with funny rituals. One of my favourite is when they assign and announce Key people, specifically nurses, implying of course that the rest don’t matter. So the lesser nurses get back at them by ringing a bell whenever they want to enter the Drug room. They ring the crap out of that bell, and so they should, pretty sure it’s written somewhere that all nurses were created equally. They like to confuse us medically untrained personnel by naming equipment with real people’s names. Richard Splint is not a person, well he was but his name wasn’t Splint it was Volkswagen, no that’s wrong, it was Volkmann. Richard Volkmann invented a splint. I know that because after I spent some time trying to help find this supposed ‘missing’ patient I found out he was an inanimate object. ‘Richard’ was laid out on the counter right in front me the whole time. Well played Nurses…well played. It is both scary and hilarious how many people do that, or my other favourite is they see my hospital ID and no matter where I am they just come up to me and say a name…. I do love this ward, I love this ward as much as I love ice-cream. Nope that’s a lie, let me try again… I love going to work here because there seems to be a cluster of comedic Nurses and Doctors, which makes for a thoroughly enjoyable workplace. Some are just naturally witty people and others are oblivious to the red ball on the end of their nose. “Yes, just a foot as far as I know”. Can you imagine the foot being wheeled in on a bed? The heart monitor clipped to its pinkie. A tiny little wash cloth being used as a sheet? I always feel uncomfortable when they ask that, it’s just such a personal question. I know they don’t want to know if I have but they ask at least twice a night so I feel the need to confess. If I confess perhaps they will stop talking about this stinking topic? We had a Russian patient in whose second language was Spanish, English was perhaps his third. He struggled to understand and express himself so I agreed to help translate. You have no idea how weird it is to go up to a total stranger and say “Hi, so when was the last time you pooped?” no preamble just dive in there up close and personal, muck and all. The team there not only have my sincere affection, they have my complete respect. I like to tell them that the reason for their employment is to entertain me and although they do this brilliantly, sadly for me but lucky for all of you, it is not the case. They take pride in their work and do their best even in the rare occasions when they are treated with much less respect than they deserve. If you are ever on that ward because you hurt your humerus or something much worse, keep in mind that while we may always struggle to understand why these nurses are inexplicably obsessed with your faeces, we do know they are all there because they care about people. Although hospitals conjure up fears and emotions that we might not know how to handle, I can tell you with all certainty (no bones about it) those guys are the good guys. ← Previous Post The Romantic, The Dreamer and The Realist. Thanks Claudia! I see you as working WITH us, so it’s really interesting (and funny) to hear that our jobs appear completely different from your perspective. It took me a little while to develop my routine but I think life and work experience has made me comfortable in asking the stinking questions. I’ve seen enough naked bodies to realise that we are all the same. We all have those bits, we all make those sounds and everybody’s gotta poop! Not for fun, it’s just downright important!